Following on from my rather spectacular Dr Who Wreath (I know how that sounds, and I'm not one for blowing my own trumpet usually, but I do love it so). 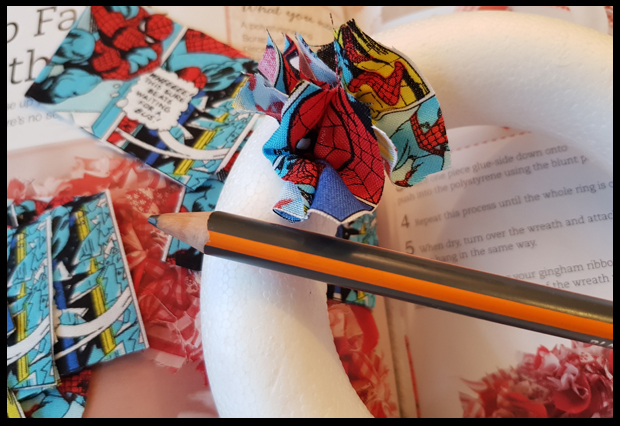 I thought I'd make use of my spare polystyrene wreath and make a Spiderman one too. 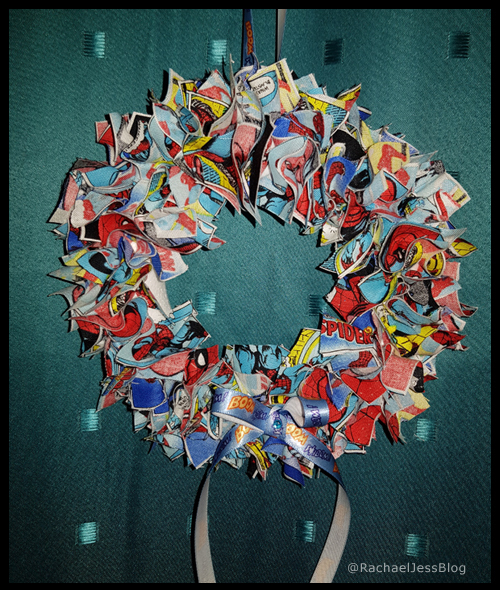 This was a lovely quick and easy wreath to make, although I'm not entirely sure if the Spiderman fabric worked. 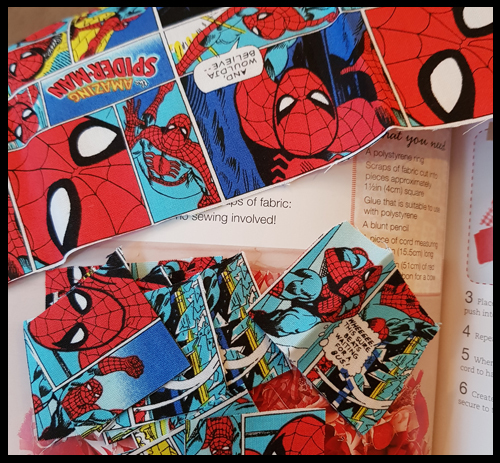 I don't know if it's because I'd been working on it all day, or if this is one of those cases where the fabric doesn't quite work or I'm just not a big enough Spiderman fan, as my son did take a shine to it! To make the wreath was very simple. Cut the fabric into squares approximately 2 inches. With a blunt pencil poke the fabric through the polystyrene wreath. I gave me pieces a little twist before pulling the pencil out to keep in place. I added a little superhero ribbon bow on the bottom and used the same ribbon to make a hoop at the top to hang the wreath up, and that was all that was needed. I do love my little wreath and I've had it hanging in the front room as my Dr Who wreath sits pride of place on the door, but then, as part of my #DoorstepChallenge with Co-Op, I decided to donate it to a local charity called Safe in Sussex. It's nice to know that a little boy will be receiving this wreath as part of his family's Christmas Hamper from this wonderful and important charity. I'm hoping it brings him a little joy this Christmas. Looks nice but I like your Dr Who one best. 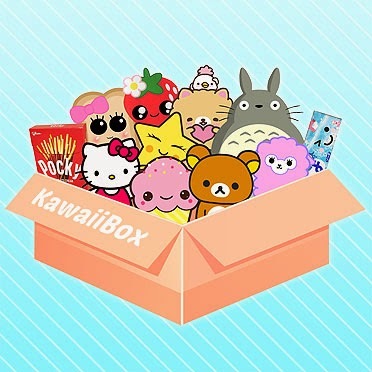 And what a lovely idea to donate it along with your other goodies. I agree I like my Dr Who one, I think it's the mix of material that doesn't quite work with this one, but my boy loved it, so I felt comfortable donating it.